Settlers Impose Sabbath Closure on Palestinian Residents of Silwan; High Court Asks: Why? Under the “Legal and Administrative Matters Law of 1970,” which is being used to evict the Sabbagh family, Jewish owners are afforded a legal avenue to reclaim property that they owned prior to the 1948 war which, as a result of the war, came under Jordanian rule. It should be noted that Palestinian refugees from that same war – who lost property in what became Israel – are not afforded an equivalent right to reclaim their abandoned property, creating a dual legal system in which ethnicity is the sole determinant factor when it comes to rights. Exploiting the special standing granted to historic Jewish property owners, the settler group “Nahalat Shimon” has undertaken a campaign to track down the Jewish owners of coveted land in East Jerusalem that was under Jordanian rule, in order to purchase from them the property rights and then evict Palestinian tenants, most of whom have lived in these properties for more than 50 years. This is the context against which the 45-member Sabbagh family (who are themselves refugees of the 1948 war, but are not allowed to legally reclaim their family property in Jaffa) is being forced to leave their home of 60+ years. Following the Supreme Court’s January 10th decision to refuse the family’s request to consider new evidence in the case (based on the argument that it was too late), Israeli authorities delivered an eviction notice telling the family to leave before January 23rd. A bidding war erupted over a house in the Sheikh Jarrah neighborhood of East Jerusalem, pitting the Palestinian family living in the building against Aryeh King, a radical settler impresario behind many settlement schemes across East Jerusalem. When the price hit $3.27 million (12 million shekels), King decided to withdraw his bid – allowing the Palestinian Abdel Razeq family to purchase the home, should they be able to raise the necessary funds. If the family is able to raise the funds to buy the house, this would be a rare, albeit astronomically expensive, victory for Palestinians fighting to remain in their homes against an ongoing campaign by Israeli settler groups to “reclaim” Jewish property in East Jerusalem that was abandoned during the 1948 war. As discussed above, under Israeli law, Jewish property owners are entitled to reclaim property in East Jerusalem that was abandoned during the war, while Palestinians who lost property in what became Israel have no similar right. 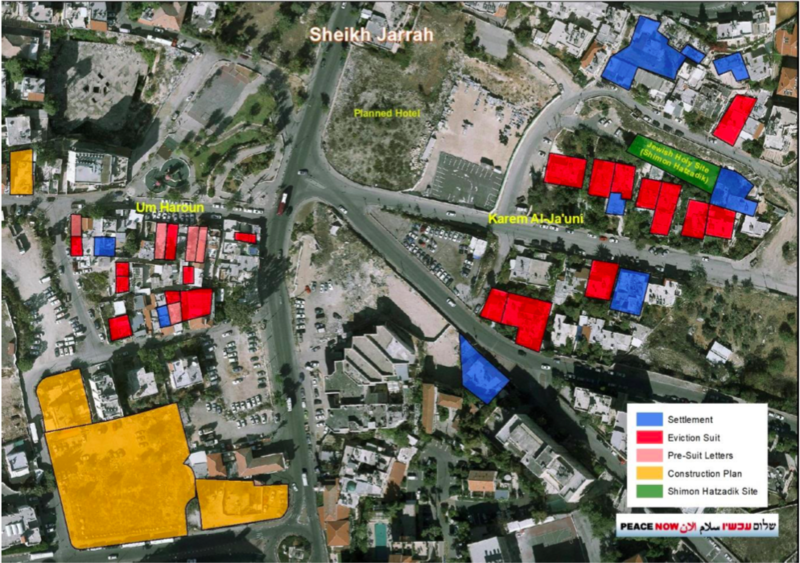 King and other pro-settler activists take advantage of this law by tracking down Jews who owned property in sensitive areas of East Jerusalem prior to 1948 (Sheikh Jarrah being a key target), and convincing the owners (or their heirs) to sign over the property rights – all in order to evict current Palestinian tenants and move in Israeli settlers. The case involving the Abdel Razeq family’s house did not go according to the settlers’ script. A dispute broke out between members of the Jewish family who, under Israeli law, are heirs to the property. The case went to a Family Court, which ruled that the house should be sold through a public bidding process, with the proceeds to be split amongst the heirs. 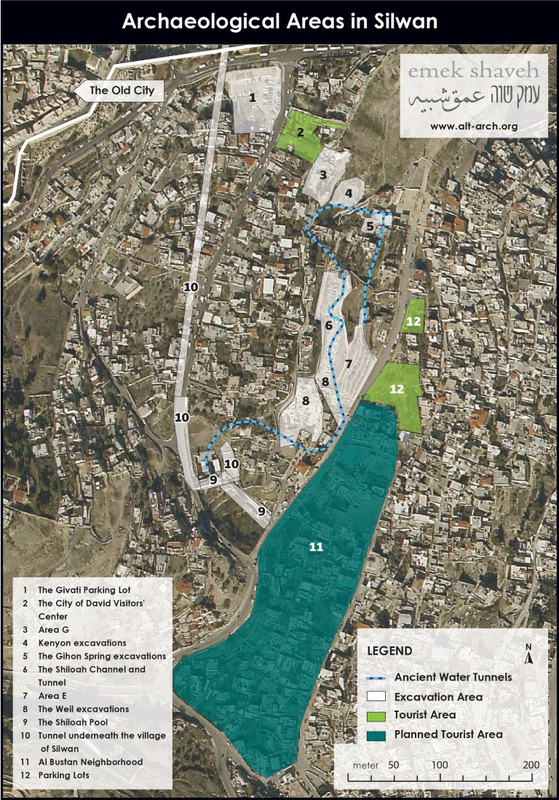 On January 16th, the Israeli High Court of Justice ordered the Israel Nature and Parks Authority (INPA) and the radical Elad settler group to defend its practice of closing parts of the “City of David National Park” – a name that Israel has applied to an area that includes a large Palestinian residential section of Silwan – on the Jewish Sabbath, evenings, and on Jewish holidays. The closures deny Palestinians, including residents of Silwan, access to parts of the neighborhood. As FMEP has repeatedly covered, the radical Elad settler group has managed the City of David National Park on behalf of the INPA since 2001. This arrangement that gives the settler group authority over not only areas controlled by settlers – whose interests Elad shares and promotes – but also thousands of Palestinians, to whom Elad has no legal responsibility and whose very presence is part of a “demographic balance” Elad is working actively to flip. Elad and the INPA have previously tried to defend the park closures on security grounds – citing alleged incidents of vandalism on park grounds. That defense was rejected by the Israeli Attorney General, who noted that no formal complaints about vandalism had been filed, and neither the Israeli police nor the Israel Antiquities Authority had be informed about the problem or Elad’s decision to close the park on religious occasions. Following the January 19th court order, Elad and the INPA have 60 days to submit a new defense. In response to petitions filed by Peace Now, on January 7th the State of Israel announced that it will “examine” two specific cases of illegal (under Israeli law) outpost construction: the Kerem Reim case and the Hayovel case, both located in the area controlled by the Binyamin Regional Council (the Israeli government-funded settlement municipal authority in charge of the area located north of Jerusalem stretching to north of Ramallah). The examination will be led by a police anti-fraud unit and the State Prosecutor’s Office. As summarized in a recent report, Peace Now has previously filed numerous complaints and has provided evidence to the State Prosecutor’s office regarding the involvement of the Binyamin Regional Council and the Amana settler organization in the illegal construction of outposts and settlement structures. In addition to Peace Now’s documentation, the Israeli State Comptroller’s office published a July 2018 report exposing the criminal involvement of the Binyamin Regional Council and the Amana settler organization in illegal settlement construction. In 2017, Peace Now published a comprehensive report outlining how government and private entities are systematically using Israeli taxpayer money to establish new settlements and outposts. MK Bezalel Smotrich has been elected to take the reins of the extreme right-wing nationalist political faction, called the National Union Party. With leadership secured, Smotrich aims to next be chosen to lead Habayit Hayehudi – an umbrella group which unites the far-right factions into a single voting bloc – following Naftali Bennett’s decision to leave Habayit Hayehudi and form a new political party alongside Ayelet Shaked. Smotrich currently lives in the Kedumim settlement, but his house is located inside of an enclave of privately owned Palestinian land that is not included in the settlement’s Master Plan, making it illegal even under Israeli law. Smotrich is a co-founder of Regavim, a radical settler group that works to dispossess Palestinians of their land and property in the West Bank by “helping” the Israeli government to enforce planning and building laws. Like Smotrich, many of Regavim’s key staff live in illegally built settlement units, but instead of seeking to enforce Israeli law against their own illegal building, Regavim and Smotrich are working to retroactively legalize their own homes through legislation. Introducing the “Young Settlements Bill,” which would direct the government to treat 66 illegal outposts built on privately owned Palestinian land as legal settlements, while giving the government 2 years to find a way to retroactively legalize those outposts. The bill would also freeze any/all legal proceedings against the outposts and requires the government to connect the outposts to state infrastructure including water and electricity; provide garbage removal; and approve budgets for them. The law also allows the finance minister to guarantee mortgages for settlers seeking to buy units in these outposts, even before the legal status of the land is resolved (a remarkable state-directed violation of normal practices in the mortgage industry). The bill received government backing on December 16, 2018, and will next need to be introduced in the Knesset, where it must pass three readings to become law. Leading the charge for the Knesset to fund a new municipal body for Israeli settlers in Hebron, despite a court injunction freezing government plans to create such a body. Introducing a bill that would hand over more land in Area C of the West Bank to the World Zionist Organization. For FMEP reporting on the Givat Eitam/E-2 settlement, see the January 4th edition of the Settlement Report.